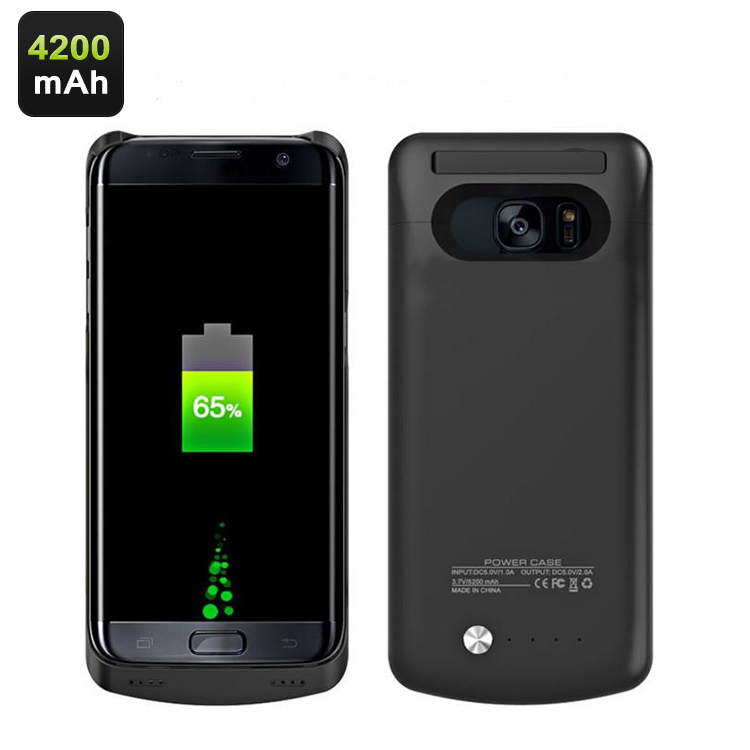 Successfully Added Samsung S7 External Battery Case - 4200mAh Capacity, LED Indicators, Flip Stand, Light Weight, Premium Build to your Shopping Cart. Keep you Samsung S7 Smartphone toped up and ready to go for much longer with this 4200mAh lithium battery case. Specifically designed for the Samsung S7 this battery case will fit your devices perfectly and its secure grasp will protect your S7 from damage while brining hours of extra usage time. At the rear of the case is a flip out stand that's ideal for propping up the phone on a desk or table. This offers a great viewing angle so you can keep both hands free and watch your favorite shows at home, work or on the go. There are 4 LED indicator lights so at just a glance you can see the remaining power and know exactly when the case need recharging. The case is soft to the touch and fits perfectly in your hand with its smooth exterior and premium built it will last for around 500 charge cycles. This Samsung S7 Battery case comes with a 12 months warranty, brought to you by the leader in electronic devices as well as wholesale Smartphone accessories..